Third Sunday: 1 P.M. - 3 P.M.
Two hour parking limit on Baker Street, M-F from 8 A.M. to 6 P.M.
FREE parking on Sat. & Sun. www.Ralphscom: Click on Community Ralphs Community Contributions Program, Enroll Now. 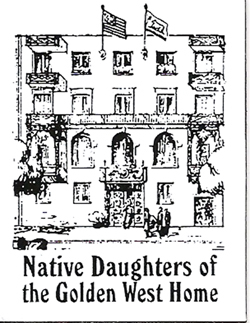 Our organization name Grand Parlor Native Daughters/ G.W. Childrens Fdn.